The term, local anesthesia, refers to the act of rendering a specific area of the body, (typically small), numb by the injection of an anesthetic agent directly into the tissue surrounding the proposed site of the operation or procedure. This has been done for decades for a wide variety of things, from starting an IV, to “lump and bump” removal, biopsies, suturing of lacerations, carpal tunnel release and many more not mentioned. There are many different types of local anesthetics; Novocaine (little used today), Xylocaine, Bupivicaine, Procaine, Lidocaine and Ropivicaine (Naropin) are but a few. Some are short-acting, while others have a long duration of effect. 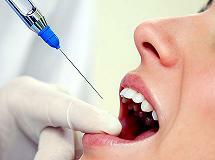 Some are more tailor-made for different surgical specialties, such as dentistry. Nerve blocks and regional anesthesia also employ local anesthetic agents to achieve their results, and we’ll discuss those as we go. 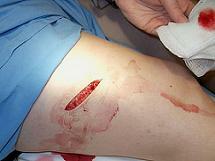 Local anesthetics in this sense differ from nerve blocks primarily in the manner in which they are administered. Many of the end results and desired effects can occur in both scenarios, but there are certain situations where one is preferred over another. For now, we’ll focus on the general purpose local anesthetics. The process of administering a local anesthetic involves the injection of the anesthetic material directly into tissue surrounding the area to undergo a procedure. The tissue absorbs the anesthetic agent; it binds to tiny pain nerve endings where it interferes with their ability to transmit pain impulses to the brain. Local anesthesia can be performed in an office setting, emergency room, operating room or even in a patient room for a variety bed-side procedures. It allows for patient comfort without rendering the entire body inactive for long periods of time. 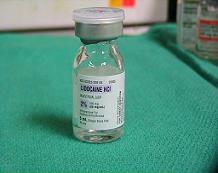 Local anesthetic agents can also be used as an adjunct to pain control after surgery. Quite frequently, incisions are injected with a long-acting local anesthetic at the conclusion of a surgical procedure to lessen post operative pain. It can also be injected into joints after arthroscopic surgery, such as in knees and shoulders, although recent studies have determined that local anesthetics can be hazardous to joint cartilage cells and are being used with increased caution. Local anesthetics don’t always have to be injected. They can come in topical applications, eye drops, creams, and sprays (i.e. ENT surgery).